Home > Blog > Can I Take Medications With Phentermine? Here at phentermine.com, we get a lot of questions about whether it’s safe to take medications with phentermine, which can include prescribed medications, supplements, and over-the-counter remedies for everyday problems such as headaches and indigestion. Here we explain all that you need to know about taking medications with phentermine, from specifically being prescribed medications to combine with phentermine, to the ways in which phentermine can interact with prescription medications, and how even over-the-counter remedies can reduce the effectiveness of phentermine. In some cases, doctors will purposely prescribe medications with phentermine – these are known as phentermine combinations. The intention is that this combination of phentermine and another prescription medication maximizes the potential of the phentermine and increases the possibility of effective weight loss. One such combination is Phen-Pro, which is the name given to the combination of phentermine and a low dose of an anti-depressant, such as Prozac or Zoloft. The anti-depressant ingredient in Phen-Pro is not for the treatment of depression but rather is intended to help the phentermine work more effectively at promoting weight loss. Another commonly prescribed phentermine combination is Qsymia, a combination of phentermine and topiramate, an anti-convulsant drug that can cause weight loss as a side effect. Qsymia is the brand name for this combination, but some doctors prefer to write two separate prescriptions for phentermine and topiramate, possibly as a way to save money for their patients so that their phentermine prescription is cheaper to fill. Phentermine can also be prescribed in other drug combinations, including with other weight loss drugs such as Belviq (known as Bel-Phen), anti-diabetic drugs like Glucophage XR, with other anti-convulsants such as Zonegran, or with Norepinephrine-Dopamine Reuptake Inhibitor (NDRIs) such as Wellbutrin SR. In certain cases these combinations may be prescribed to help treat other existing conditions such as sleep apnea, metabolic syndrome, and diabetes, while other combinations are intended to work together to increase the effectiveness of phentermine. If you have been prescribed phentermine in combination with any other drug, it is important that your doctor explains to you why he or she has chosen this combination for you, what each medication does, how the two work together, and what possible interactions may arise as a result of the combination in order for you to know what to expect, both in terms of results and of possible side effects. Finally, it must be stressed that these combinations are only safe if specifically prescribed by a doctor. Even if you have individual prescriptions for both medications, without being prescribed a certain combination by a doctor who is aware of all of your medical conditions and current medications, harmful drug interactions may occur as a result of self-medicating phentermine combinations. While taking phentermine, there is always the possibility that you may need to take other prescription medications at the same time for any number of health issues. These prescription medications fall into one of four categories: medications for existing conditions, medications for new conditions, short-term prescriptions, and birth control. These types of medications would be those which you may have been taking long or short-term, but which you are taking at the time of being assessed for your suitability to take phentermine. It is imperative that you explain to your phentermine doctor that you are taking these medications and for how long you have been told to take them, especially if he or she is not your usual doctor or specialist. You should only be prescribed phentermine if it is deemed safe for you to take it alongside the other medication(s) you are taking, and even then, you should be informed of any possibilities of interactions between medications and how to recognize the symptoms of these. If you are being prescribed phentermine by a different doctor, it is also a good idea to tell any other prescribing doctors you may have that you are now taking phentermine – that way, your records with all the doctors you have contact with will be up to date, so that if any problems should arise they will all be in a better position to help you. While you are taking phentermine, you may need to start taking medications for serious or long-term health problems that were not previously diagnosed. If the doctor who is prescribing this new medication is a different doctor then you must inform him or her that you are taking phentermine, as it is also crucial that you explain to your phentermine doctor about this new medication. It may be necessary for you to stop taking phentermine if there is a possibility that the two medications may cause a dangerous interaction. Alternatively, your phentermine prescription might be changed to a different dosage, or you may be advised to take a different weight loss medication. Perhaps more likely than being prescribed new medications for more serious health problems, is the need to take a short course of antibiotics or other short-term prescription while taking phentermine. Most online sources state that phentermine does not interact with most antibiotics, but various allergy and breathing medications can cause interactions and unwanted side effects, so with this in mind, it is always crucial that you explain to your doctor that you are taking phentermine when you are prescribed any other medication, no matter how short-term it is. In addition, it might be advisable for you to take a break from phentermine while you are taking this medication for several reasons – to avoid unwanted side effects, to ensure that your medication works effectively, and so that the effects of phentermine are not compromised. If you are able to become pregnant then it is important to use some form of birth control when taking phentermine as phentermine cannot be taken by women who are pregnant or trying to become pregnant. Birth control pills have not been found to cause interactions with phentermine, although you should still ensure to inform your phentermine doctor about the contraceptive pill you are taking as there may be a need to change your pill in order to balance your hormones. While taking phentermine, in addition to prescribed medications, you may need to take over-the-counter (OTC) medications from time to time. Additionally, many people choose take additional supplements to boost health, help with the side effects of phentermine or to enhance the effectiveness of phentermine. We all take the occasional pill to help with every day ailments such as headaches or indigestion, but when taking phentermine there is the possibility that you may be more prone to headaches, nausea, dizziness, and constipation as some of the common phentermine side effects. Medical studies have found that drugs like aspirin will cause your urinary pH to become more acidic (meaning phentermine is excreted faster), so it is best to limit the amount of aspirin and other OTC medications you take while you are taking phentermine otherwise you will compromise the effectiveness of phentermine. When you are prescribed phentermine, it is a good idea to ask the doctor if he or she would recommend any specific medications for conditions like indigestion, headaches, or other pains that you may be prone to, as some may be more suitable than others when taken with phentermine. Supplements such as 5-HTP or vitamin B12 injections are often prescribed alongside phentermine to maximize the effects of appetite suppression and energy-boosting. You may also prefer to take supplements, such as the multivitamin Phen Vites, in order to reduce other phentermine side effects such as low mood, lack of energy, and insomnia as opposed to taking additional medications such as sleeping pills or anti-depressants. In addition, these supplements help to maximize the effects of phentermine unlike some medications which can cause phentermine to be excreted from the body quicker, therefore lessening the weight-loss-boosting effects. If you feel that phentermine has stopped working or that it is not as effective as you had hoped, then you may wish to add a supplement such as Phen Caps. 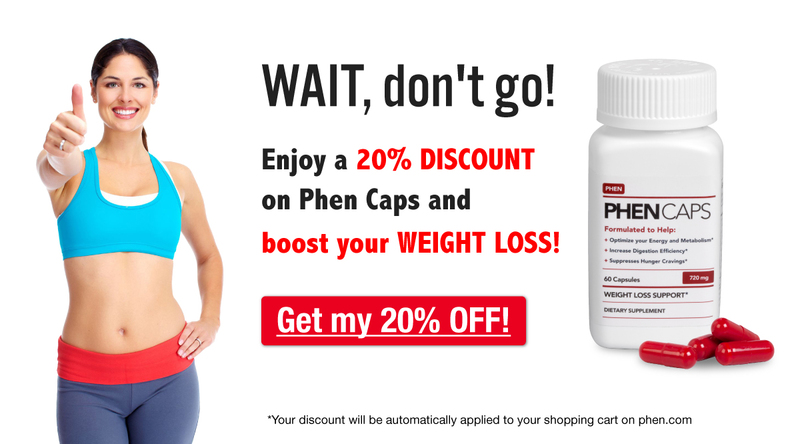 Phen Caps work like phentermine by suppressing appetite and boosting energy, but as Phen Caps contain different active ingredients, they are metabolized by the body differently and therefore help to boost the effectiveness of phentermine through different mechanisms in the body. As with combining any medications, taking medications with phentermine is something that should only be done if it has been approved by a doctor. And, even if you have been told that it is fine to take a medication with phentermine, you should still remember to be extra vigilant about the possibility of additional side effects that may occur as a result of an interaction between the two medications, whether they have been prescribed for you or are non-prescription medications. Are you currently taking any supplements or medications with phentermine? If so we would love to hear from you so please comment below! Can you please answer this question for me? Is there a problem taking Phen-30mg combined with Cephalexin 500mg. I am taking 15mg morning and 15mg evening for weight loss. I have Cephalexin for sore throat and ear infection. Hi Greer, thanks for your question! Unfortunately we are not qualified to answer specific medical or pharmaceutical questions. It’s best to always check with your prescribing doctor (and pharmacist) before combining any new medication or supplement with your existing phentermine prescription. Can I take dayquil and benadryl while on phentermine? Hi Lsh! Always check with your doctor and pharmacist before combining any medication or supplement with phentermine – whether prescription, OTC or natural. Hello can i take phentermine 37.5 with Focus Formula pills that I got at a vitamin store? Hi Sammiejo! Always check with your doctor and pharmacist before combining any medication or supplement with phentermine – whether prescription, OTC or natural. If taking estrogen can you take phentermine and terbinafine at the same time ? Hi Renee, thanks for your comment! It’s best to check with your prescribing doctor and pharmacist about all possible drug interactions. Hi JO! Always check with your doctor and pharmacist before combining any additional medication or supplement with your phentermine. Hi Jeannette! Many people add a supplement (like Phen Caps) towards the end of their phentermine prescription if they feel like the medication isn’t working as well anymore, but we ALWAYS suggest that you check your doctor & pharmacist before combining any other medication or supplement with phentermine. They know your case best and would be best able to evaluate the the appropriateness of combining the two pills. Best wishes! Can I take Dramamine with phentermine.. going on a plane for the first time and was wanting to take a Dramamine just in case but wasn’t sure if it’s ok to take with phentermine?? Hi can i take omeprazole 40 mg with phentermine? Hi Sebastian! Always check with your doctor and pharmacist before combining any additional medication (even if it’s OTC) with your phentermine.